One of the oldest active politicians in India at age 91, DMK president M. Karunanidhi is ready for yet another political battle, "if the people and my party say so". 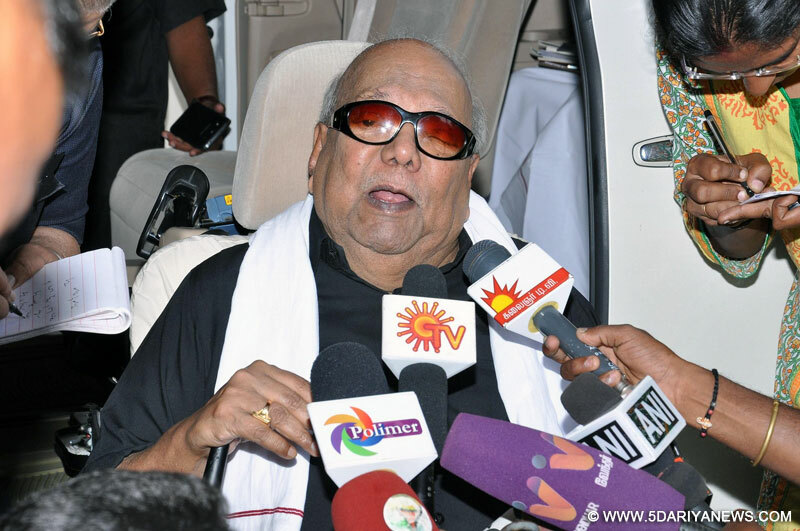 "If the people of Tiruvarur (assembly constituency) tell me and if the party permits me I will contest," the nonagenarian politician said on Monday to a reporter's query in Kattur village in Tiruvarur district, around 320 km from here.As for a political alliance, Karunanidhi said his party will not turn away others willing to ally with it.The DMK will welcome all parties that will ensure victory for democracy, the former Tamil Nadu chief minister said.Karunanidhi was first elected to the assembly in 1957 from Kulithalai. He has won all 12 assembly elections he contested since then.After his win from Thanjavur in 1962, Karunanidhi has been contesting the assembly polls from one of the seats here. In 2011, he however shifted to Tiruvarur.